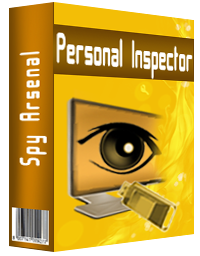 If you're looking for the spy software (keylogger and activity monitoring tool) - this is the best place to select it. On this main page you can see featured spy software. We suggest to examine it at first. For full list of our monitoring software click here. If you are interested in internet privacy breaking news, visit our Privacy-Formula.com project. 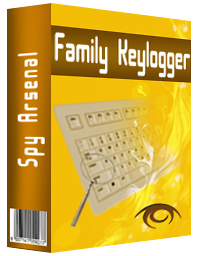 Family Keylogger is your best choice, if you want to know what other users are typing on your machine. This heavy weaponry addition to your Spy Arsenal will allow you to know everything! Simply install Family Key Logger, set the "Start in hidden mode" and "Remove from tasks list" options and you are ready to go. Personal Inspector is a computer monitoring software that monitors all computer activity and Internet usage. It can automatically track addresses and titles of all visited web pages, record all keystrokes (including passwords), save contents of Windows clipboard and take screen captures of the desktop and working application windows. 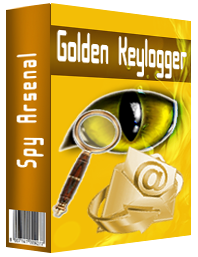 Golden Keylogger - first family-friendly keylogger. Do your kids e-mail, chat and use instant messengers? Are you sure that this is all innocent and no stranger wants to take advantage of your child's inexperience? Protect your children and your family with Golden Keylogger, world's only family-friendly keylogger. The program records every single keystroke and then e-mails you report of your child PC use with every single word he or she wrote!